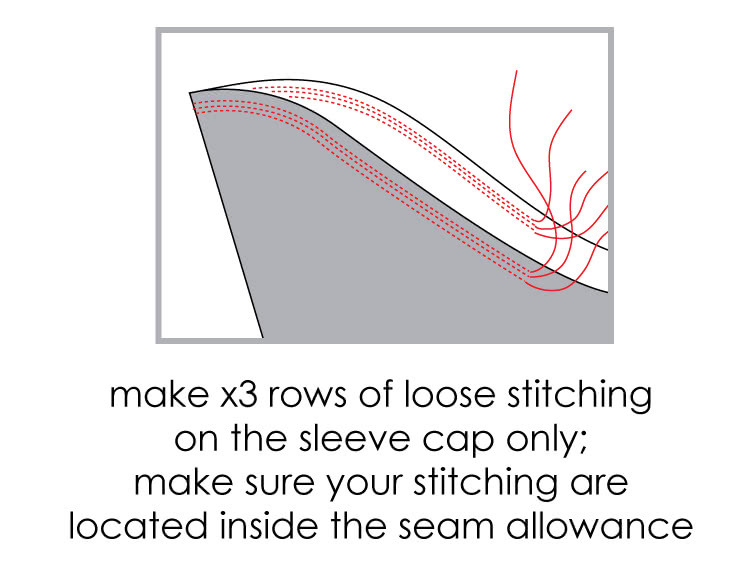 Make x3 rows of loose stitching on the sleeve cap only. Make sure the stitchings are located inside the seam allowance. From the inside of the garment pin sleeve to armhole matching notches. Then start pulling the threads to gather the sleeve cap so it matches the armhole. Distribute ease evenly. 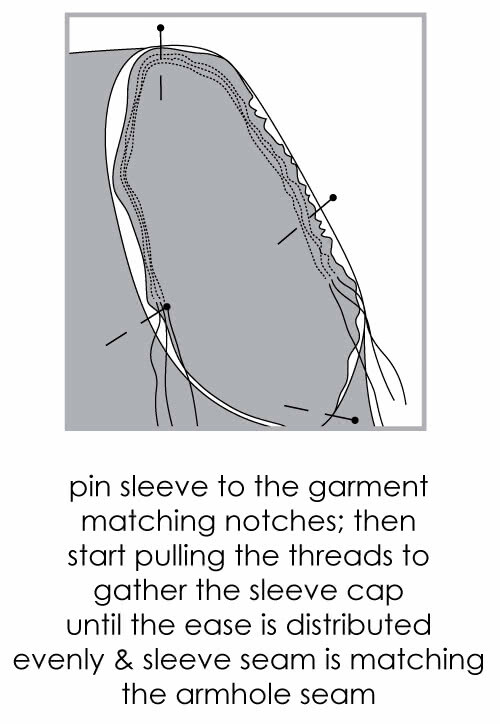 Pin more along the sleeve cap to keep the shape in place. 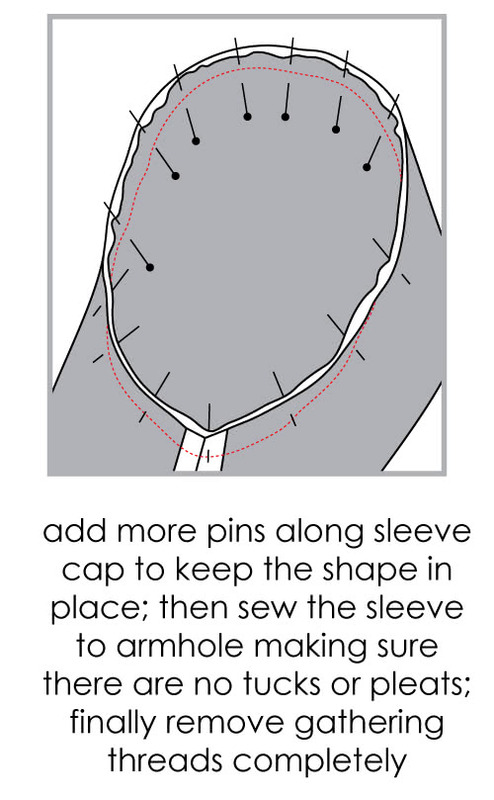 Sew the sleeve to the armhole making sure there are no tucks or pleats. Finally remove gathering thread completely. Press seams towards sleeve cap.